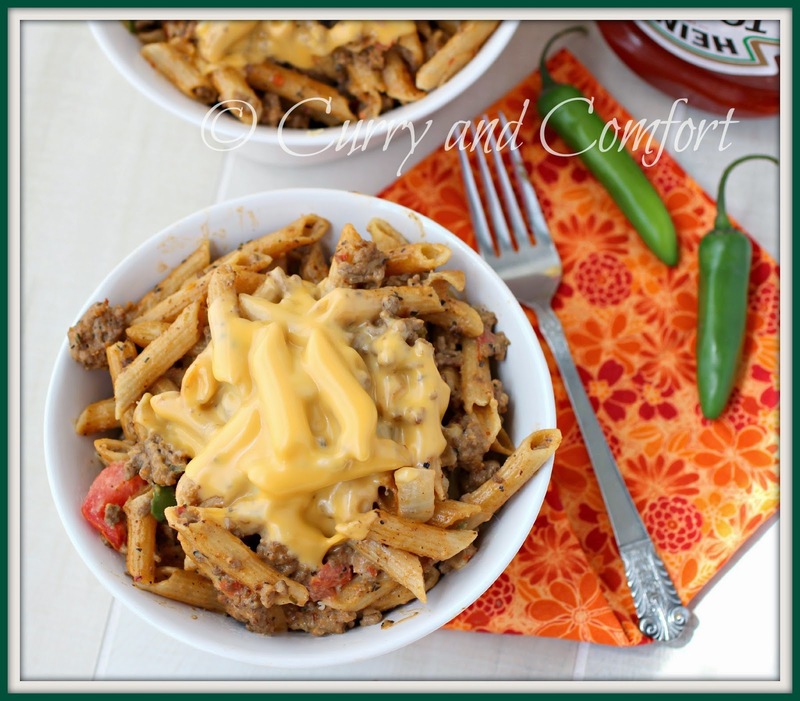 Macaroni and Cheese = Comfort Food for my kids and hubby. They love it, but I get bored making the basic version again and again. I'm always looking for a new way to infuse some extra excitement into it. So I decided to make Cheeseburger Mac and Cheese and it was a big hit with the crowd. 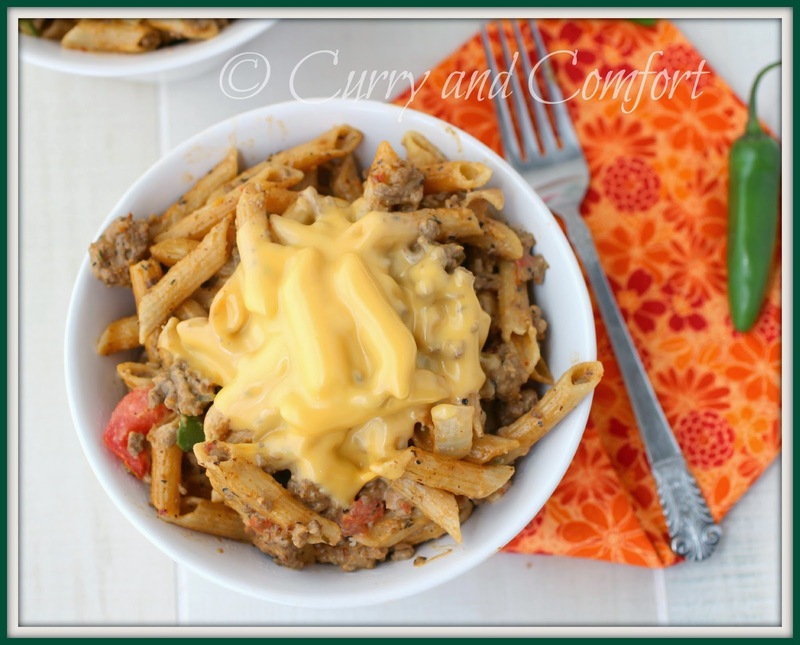 I put all your basic cheeseburger condiments into this mac and cheese so it really tasted like you were biting into a cheeseburger with every bite of pasta. When I asked if anyone wanted seconds it was an unanimous "Yes, Please!" Note: Boil pasta in a big pot of salted water. 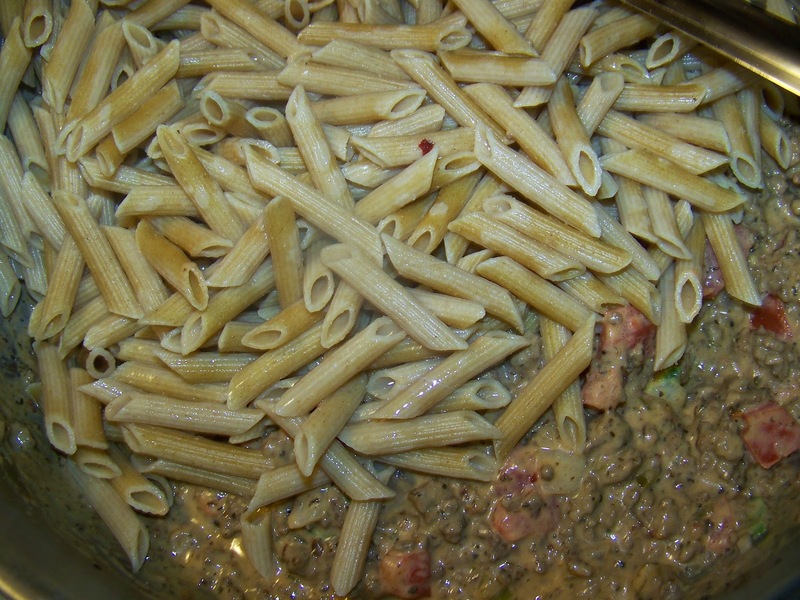 Cook until al dente (or just shy of fully cooked) because it will finish off in the sauce. Remember before you drain the pasta to scoop out 1 cup of the pasta water so you can have it ready for your sauce. 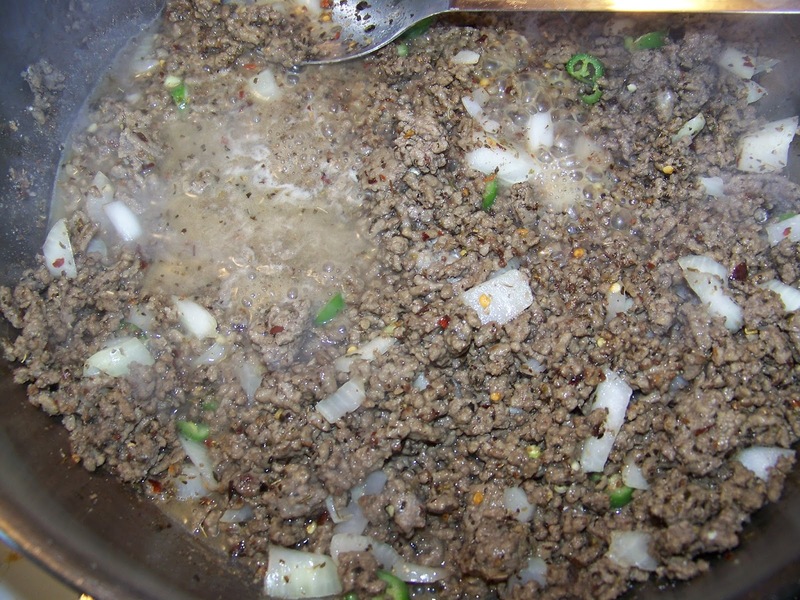 Brown ground beef and season with salt and black pepper. 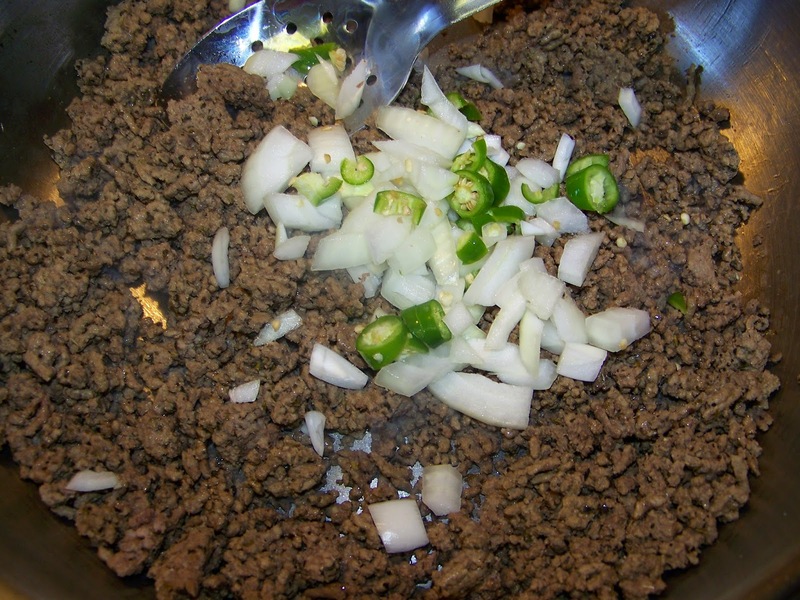 Then add onions and chilies and saute for 2-3 minutes (if needed at a little canola oil). Next add oregano, basil, red chili flakes and granulated garlic and saute for 1 minute. 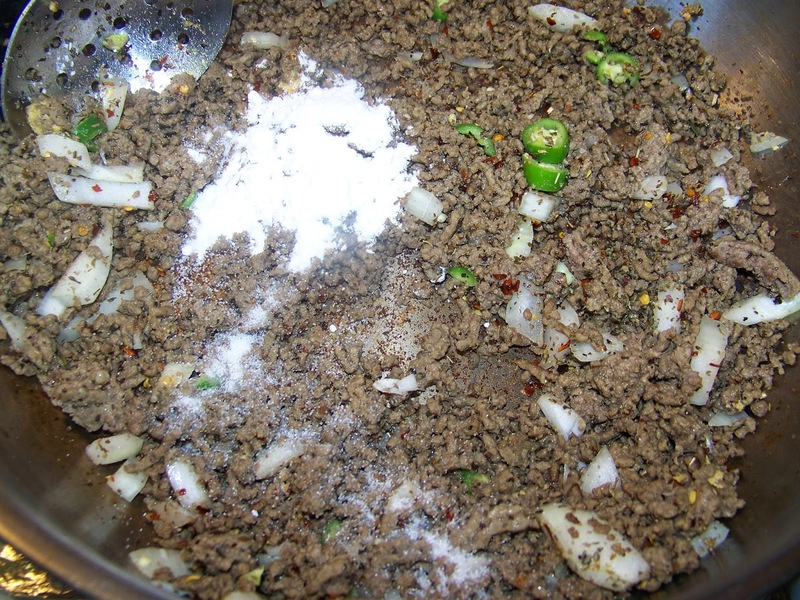 Next add flour mix well with seasoned browned beef. Then add Worcestershire sauce and pasta water and make sure to scrap all the brown bits on the bottom of pan. There is a lot of great flavor in those brown bits. 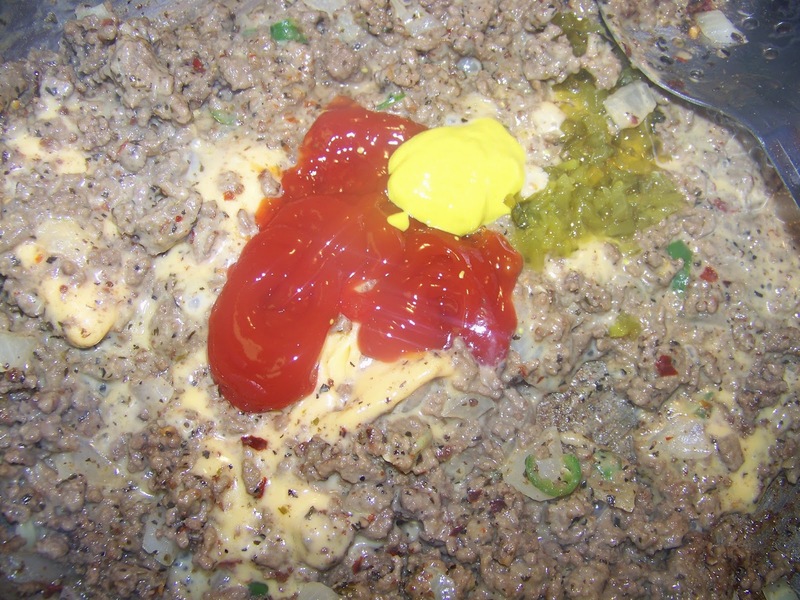 Then add sliced cheese, ketchup, mustard and relish. 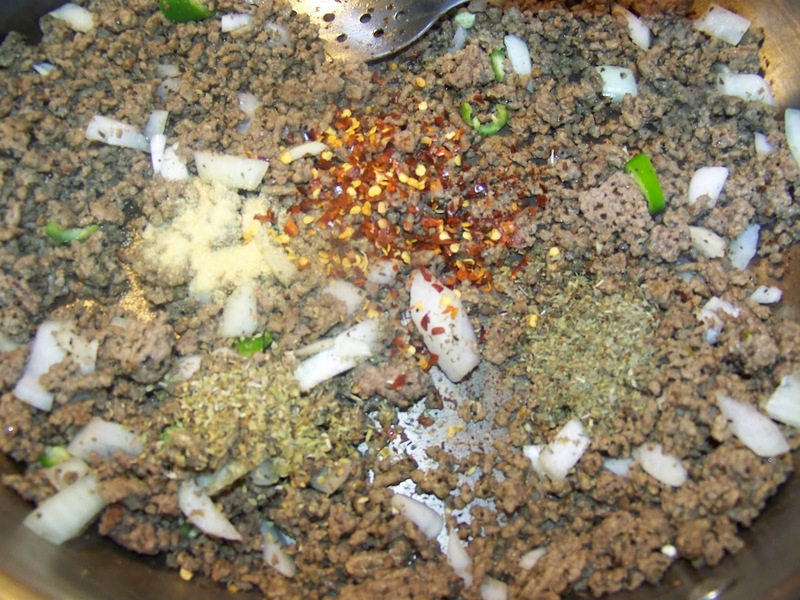 Mix well into beef. 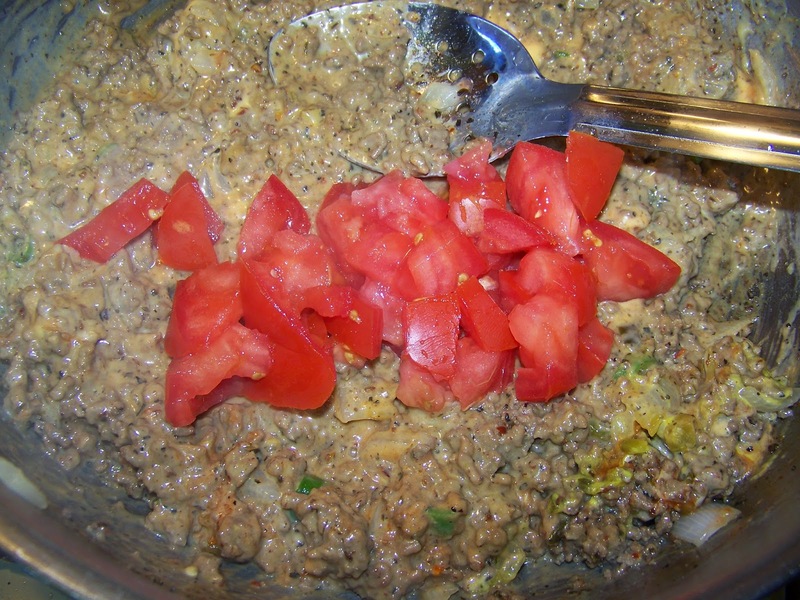 Add chopped tomatoes and mix well into beef. Then add cooked and drained pasta and toss well with beef. 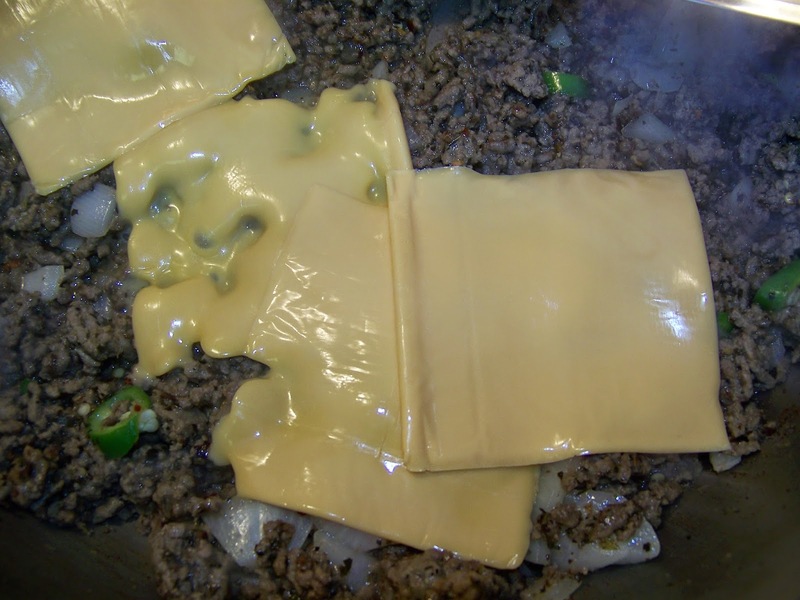 Once pasta is fully mixed with beef mixture, top with more slice cheese or grated cheddar cheese and put a lid on pot to melt. Serve hot. Enjoy. 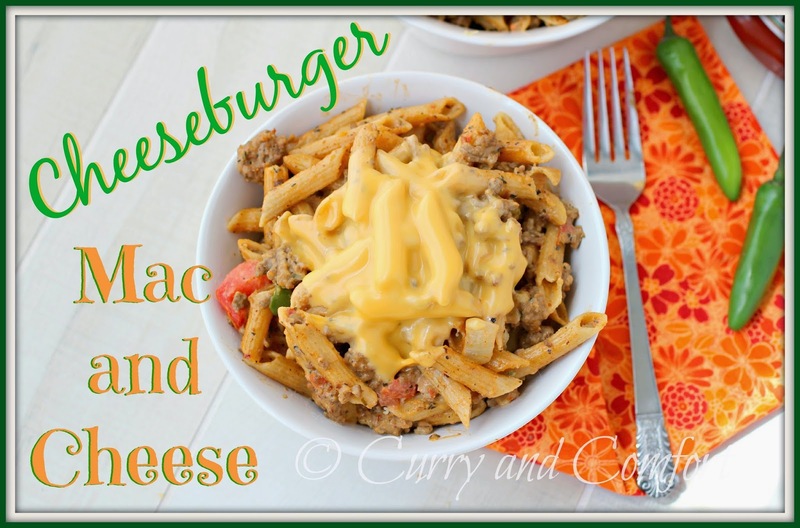 Cheese burger Mac and cheese looks finger licking good..
That looks like a real kid-friendly meal. Bet they loved it! I love one pot meals and I think Ms. Gabbi would eat this.